This is the perfect do-it-yourself solar kit for small applications or for solar experimenting. The 5W solar panel charges the small 12V, 1.2Ah sealed battery. Keep in a sunny location during the day and use whenever you need power for LED lighting and other small charging needs like cell phones, PDAs, and iPods. The 12V, 3W LED bulb uses 270mA. In five hours of sun, .29A (solar panel current) x five hours = 1.45aH per day. 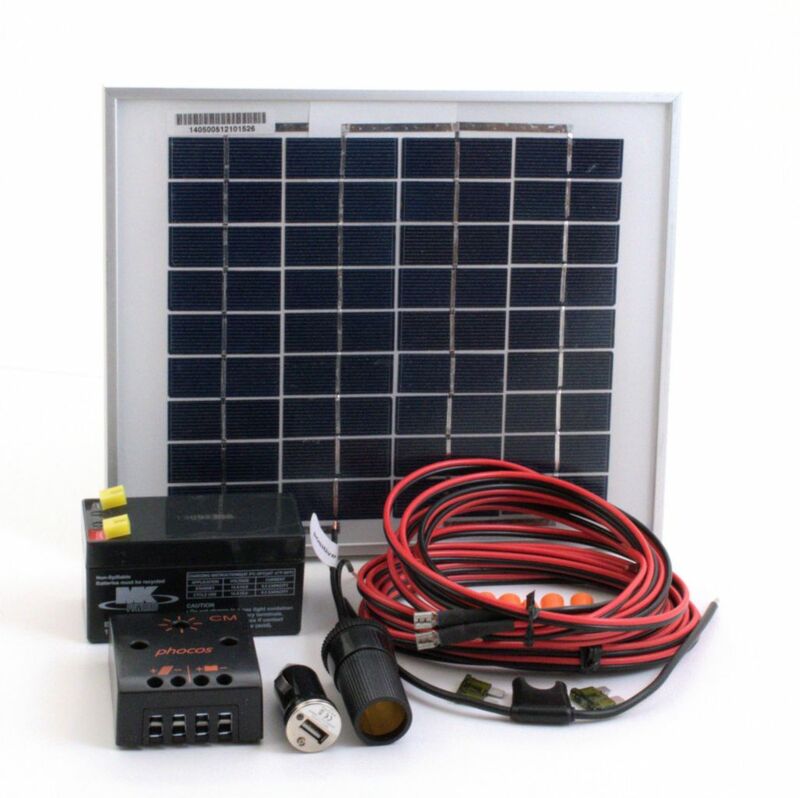 Ordering information: This kit includes framed a 5W solar panel, a battery, a charge controller, a fuse holder, and a female lighter socket and wiring.